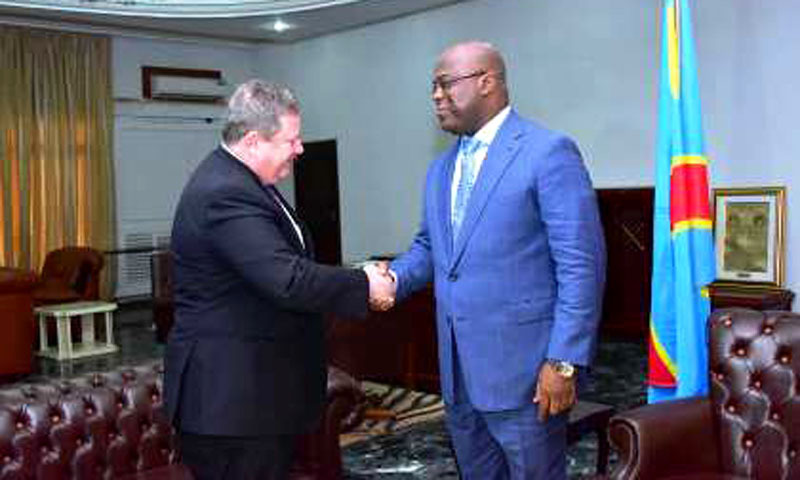 Kinshasa 13-04-2019 Politics - The United States have announced this Friday, April 12, 2019 the commitment to strengthen cooperation with the DRC on defense matter. In a joint statement with the DRC, the US says the partnership for peace and prosperity between the US Embassy and the DRC is aimed at making the Congo "more peaceful, stable, and prosperous". "The US will strengthen defense relations with the DRC through the visit of a senior officer of the United States military command in Africa", one can read in the statement. The Assistant Secretary for African Affairs, Tibor Nagy, for his part, "invited the president to discuss with senior officials of the State Department on various topics, including the fight against terrorism." Still in connection with this partnership, the USA also provide, inter alia, to sponsor the trip of 10 Congolese government officials to the United States; encourage US investment in the DRC, particularly in the sectors of agriculture, energy, minerals and telecommunications, including major infrastructure projects identified by the DRC government; to open an "American Corner" in Lubumbashi in mid-April during the visit of the Ambassador. The President of the Republic, Felix Tshisekedi, stayed from April 3 to 6 in the United States.